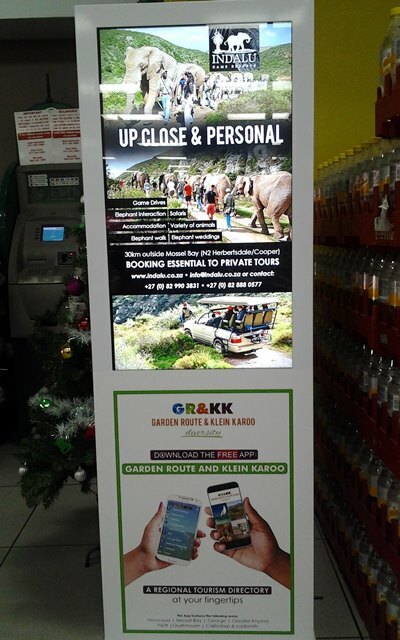 The Garden Route and Klein Karoo App is bragging with brilliant electronic advertisement boards. These modern, automated signs can be seen in Spar, situated in Hessequa towns Still Bay and Riversdale. Showcasing advertisements of businesses, performances, special deals and other information about the town and surrounding area, these signs are informative to all who pass by. The signs seen in Spar Stillbaai & Superspar Riversdale are the first of many such advertisements that will be placed all through the Garden Route. From The furthest region of Hessequa all the way through to Plettenberg Bay, these signs will boast with the Garden Route and Klein Karoo app’s information. Not only do these signs allow tourists and locals to be informed on current events, it also allows local businesses a chance to advertise their products and services in a very modern, contemporary way. 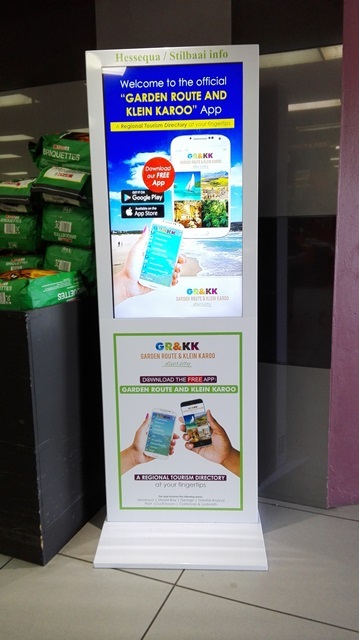 Die Garden Route en Klein Karoo app het besluit om moderne, pragtige advertensieborde op te sit in Spar Stilbaai en Superspar Riversdal. Die doel van hierdie elektorniese advertensieborde is om belangrike inligting, soos advertensies, uitverkopings en opvoerings, maklik en vinnig vir die publiek te wys. Hierdie borde is egter ook 'n wonderlike geleentheid vir besighede om hulle produkte te adverteer. 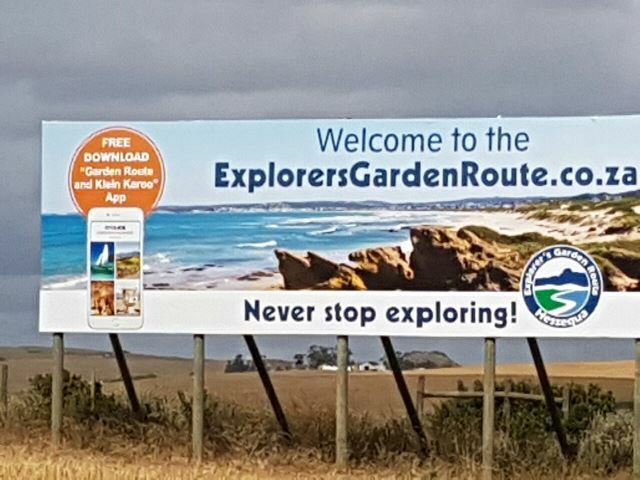 Alhoewel daar tans slegs twee borde in Stilbaai is, is die Garden Route en Klein Karoo app van plan om hierdie borde reg deur die omgewing op te rig. 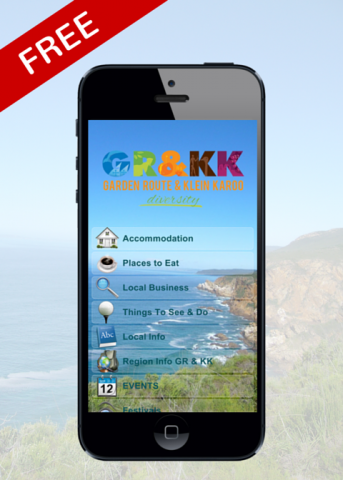 The free Garden Route and Klein Karoo App features a range of information about the region, this includes where to stay, places to eat, lists of activities, sightseeing spots, regional business listing, current and upcoming events, as well as festivals. Download your companion now and enjoy the effortless, user friendly, digital directory.